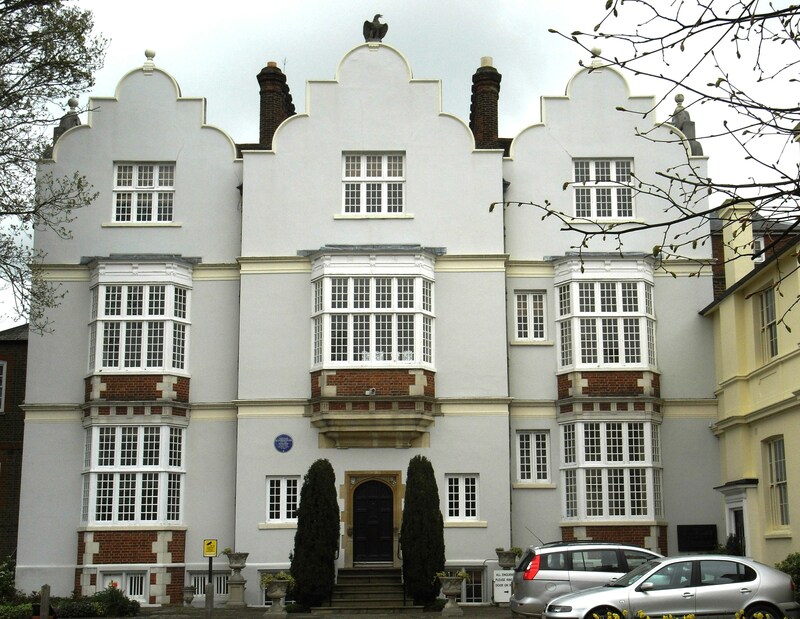 In the heart of Wimbledon Village stands one of the finest examples of a Jacobean Manor house to survive in London. Eagle House was built in 1613 or 1617 (depending on which sources you consult) for Robert Bell, Master of the Worshipful Company of Girdlers and co-founder and a director of the British East India Company. Bell’s father and grandfather were both Wimbledon residents and he inherited the site. Bell died childless in 1640 and, after his wife’s death in 1647, the house was sold to Sir Richard Betenson. His grandson sold the house again in 1700 to Richard Ivatt, an alderman of London. Ivatt’s grandson sold the building again to George Bond in 1766. Bond rented the house out and the Rt hon William Greville was a tenant in 1787. It was purchased by one Reverand Thomas Lancaster in 1789-90 who used it to house the Wimbledon School for Young Gentlemen and Noblemen. Lord Nelson and Lady Hamilton visited the school in 1805, after which it was renamed the Nelson Academy. The school as also known as ‘Blackenbury’s at some point. In the 1840s Eagle House was home to a military academy. 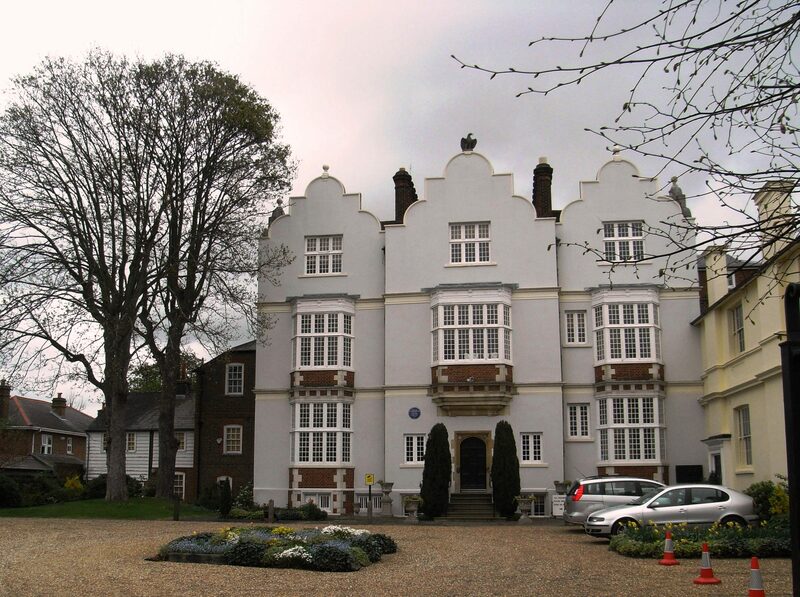 In 1860, Edward Huntingford moved his school into the house, from its former home in Hammersmith. In October 2011, the Wimbledon Guardian reported that the Wimbledon Society had recently acquired a photograph of last headmaster of the school. He was one Dr Arthur Madan who succeeded his father-in-law, Edward Huntingford as headmaster in 1874. Apparently Dr Madan was something of a polymath, teaching science, classics, drawing and religion as well as coaching pupils in cricket and football and, in his spare time, writing for the popular magazine, The Boys Own Paper. He was said to have a ‘magnetic’ influence over the schoolboys. In 1886, Dr Maden moved the school once more, this time to Camberley, where Eagle House School continues to the present day. In 1887 the house was purchased by the architect, Thomas Graham Jackson who restored much of the house to the state it had been in in its pre-school days. The inside of the building is reputed to retain many original features including fine ceilings and 17th century Delft tilework. The blue plaque visible on the outside of the building says ‘SCHOPENHAUER, Arthur (1788-1860), Philosopher lived and studied here in 1803’. 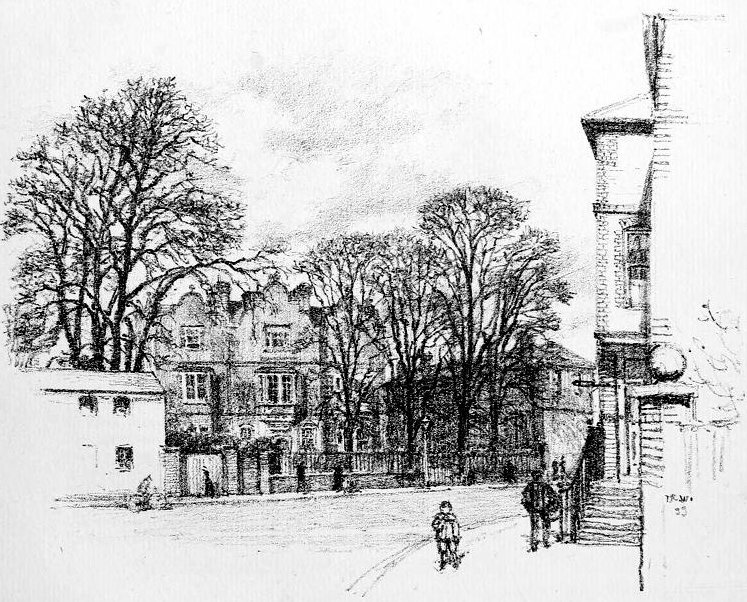 Eagle House, 1899, sketch by T R Way. This is the Internet Archive’s version of a sketch in Boston Public Library’s collection. After the second world war, the house was used as offices and from 1989 to 2009 it washome to the Al-Furqan Islamic Heritage Foundation, an Islamic heritage and cultural centre.. The Foundation undertook extensive renovation and Eagle House was home to its library and research facilities. The Foundation relocated in 2009 since when the house has been empty and its future uncertain. Eagle House is on Merton Council’s Nelson’s Trail and is a just a few paces from the 93 bus stop. The house was listed as grade II* in 1949.